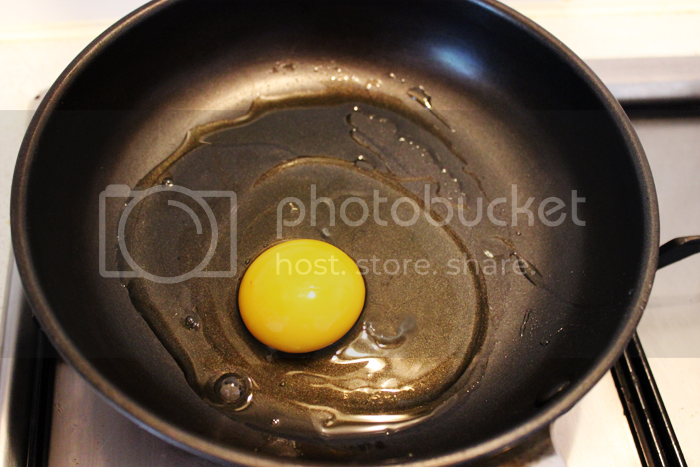 Lately I’ve been quite set in my ways when it comes to my weekend breakfasts. Ever since me and my boyfriend moved in together and after my flatsharing days were over I’ve started using the kitchen a lot more. I love my slow weekend mornings and actually having time to do something a bit more time consuming. 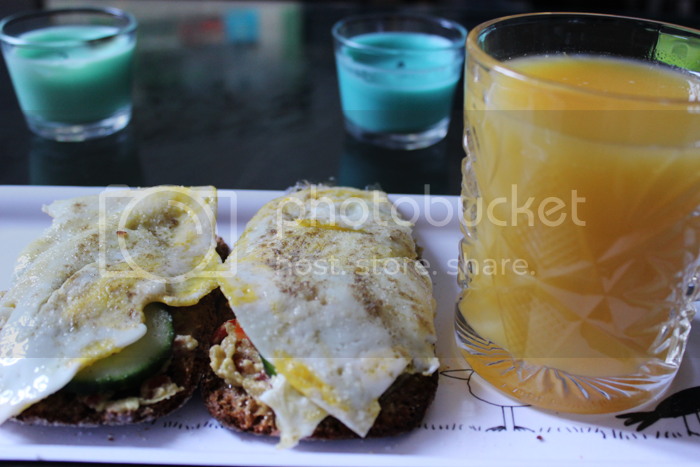 So far my favourite breakfast has been rye bread with homemade guacamole and veggies with fried egg on top. This is actually so much yummier than it might sound, so I thought it would be only fair to share the process that goes into making it! 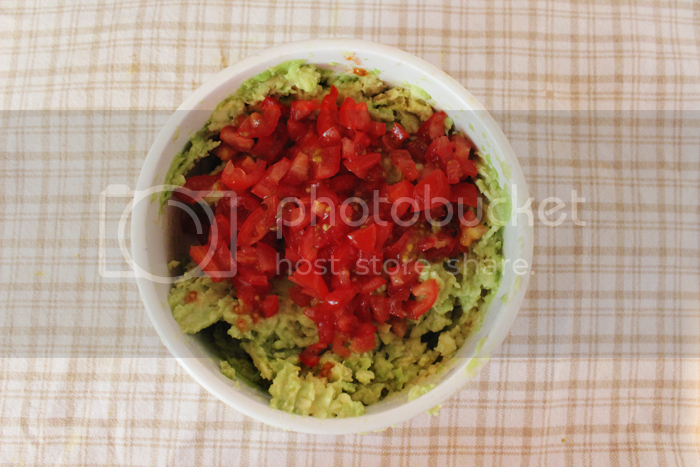 First – guacamole! Now what you need to know about me when it comes to this and possible future recipe posts is that I don’t like onions. I know that it’s a major ingredient in guacamole but I’m doing mine without. Sorry! Feel free to add some when making this yourself though – maybe double check from another recipe how much you need to put in. 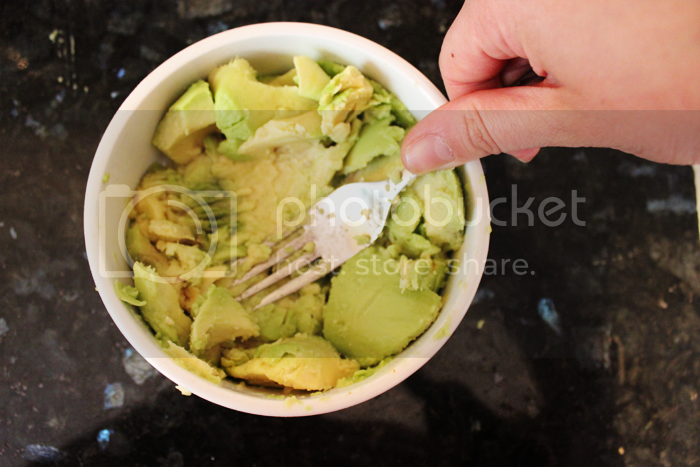 Start by mushing your avocados! 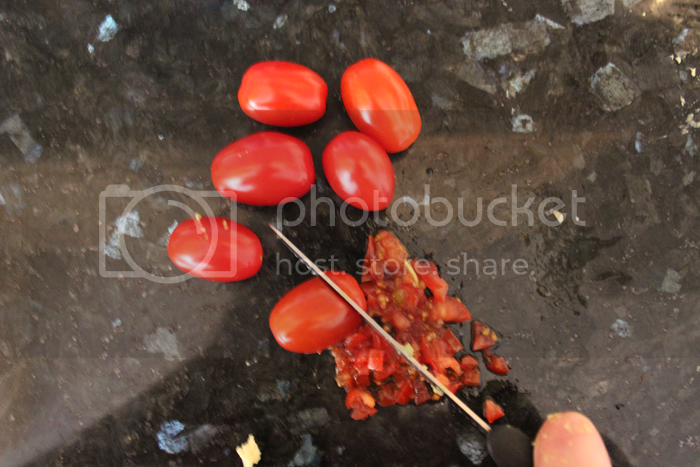 Chop your tomatoes – I try to make mine into quite tiny bits which takes FOREVER but is well worth it. 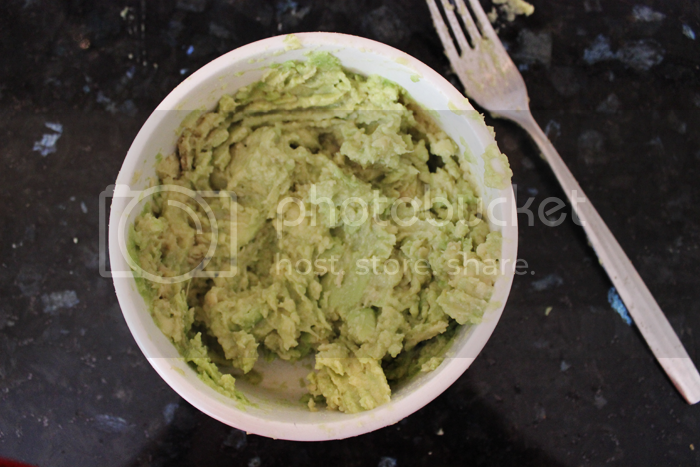 At this point I got too excited with cooking and forgot to take pictures of the last bits of making the guacamole. After mixing the chopped tomatoes in it’s time to spice it up. I put a sprinkle of salt and pepper, 1 teaspoonful of each cumin and lazy chilli (that’s readily chopped chillies for you – brownie points if you chop fresh ones yourself!). 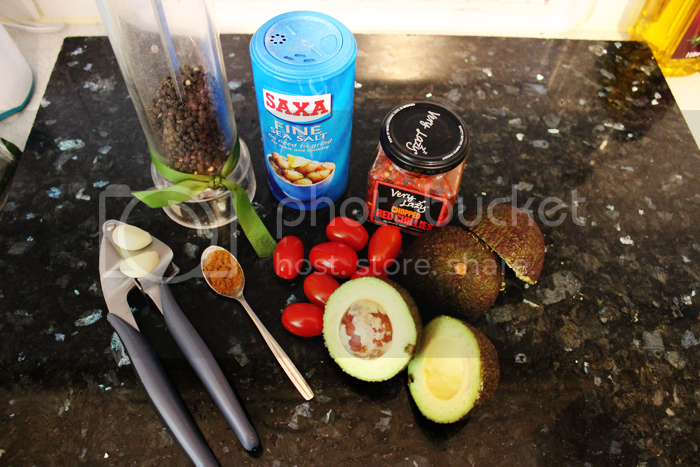 As a final touch squeeze two cloves of garlic into the mix and voila, you have yourself homemade avocado-y goodness! Set your guacamole aside and start preparing for the rest. 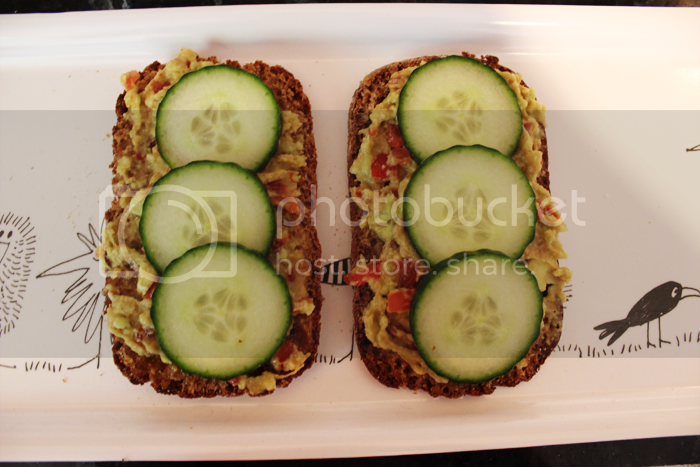 I’ve only ever used rye bread for this recipe but you’re free to try something else of course if that’s not your thing! I use Finnish ryebread because I’ve stocked up from my trips home but I’ve heard that this one is a pretty good alternative, albeit a bit of a different texture to mine. If you happen to be in Rotherhithe though pop into the the small Finnish shop selling (almost) everything I could wish for when homesickness strikes. 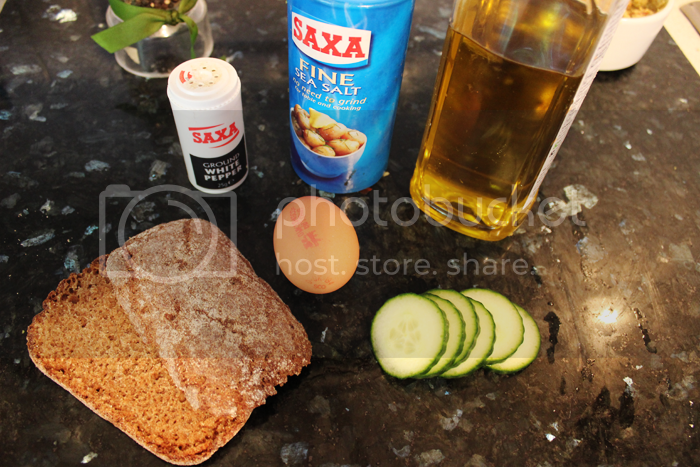 As your egg is frying pop your rye bread slices into the toaster. Once they’re ready butter them (leave this bit out if you want to be a bit healthier!) 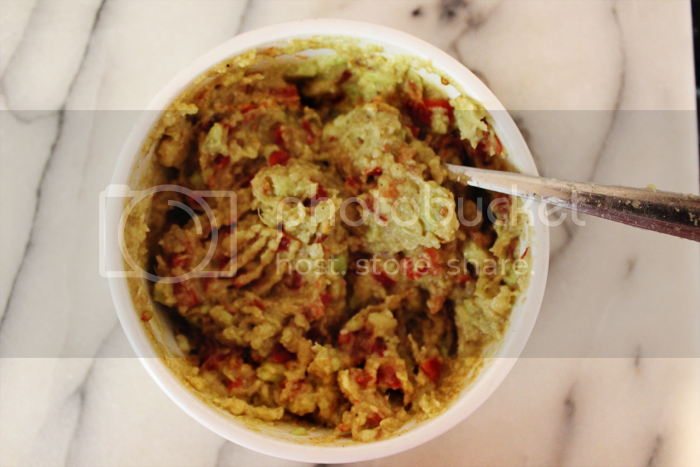 and spread a thick layer of guacamole on them. 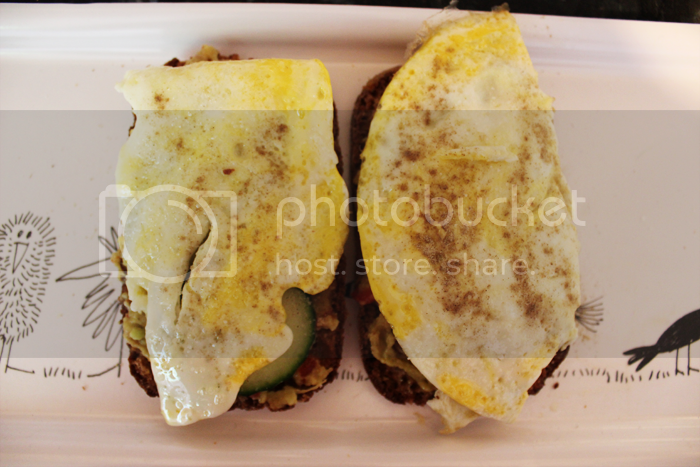 Add your veggies – I only had cucumber this time but slices of red pepper and some tomato work very nicely as well. This is even better if you put some mozzarella on top and sprinkle olive oil, black pepper and salt on it. But I’m trying to be a bit healthier so I had to leave that part out unfortunately! You should try it though if you’re feeling cheeky. 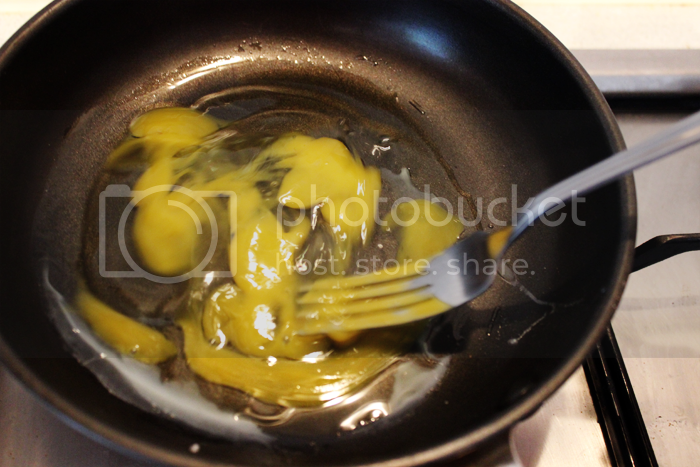 Add your slices of egg on top and sprinkle some salt and white pepper on them as a final touch. Ta dah! Tastes best enjoyed with fresh juice and watching something funny on the TV. Let me know if you try them! And do leave some tips for other great weekend breakfast..